This week, we’ve seen Mercedes-Benz launched two new models on the Irish market. The A-Class and CLS Coupé, both of which, they hoped will bring additional 182 registrations. Described by them as a model that ‘redefines luxury in the compact class’, the new A-Class retains all of its youthful appeal whilst being endowed with characteristics more grown-up than those of its predecessor. Successful in attracting a distinctly younger fan base – which in-house surveys show is an average 13 years younger – the new A-Class is noticeably larger than before. Its even more energetic appearance is down to a noticeably more sloping bonnet and lower, more angular headlights and grille with inset star. Inside, it has more head, shoulder and elbow space with easier access to the back seat and a luggage compartment 29 litres larger than before. A talking point will be its ultra-modern new MBUX multimedia and infotainment system – shorthand for Mercedes-Benz User Experience. 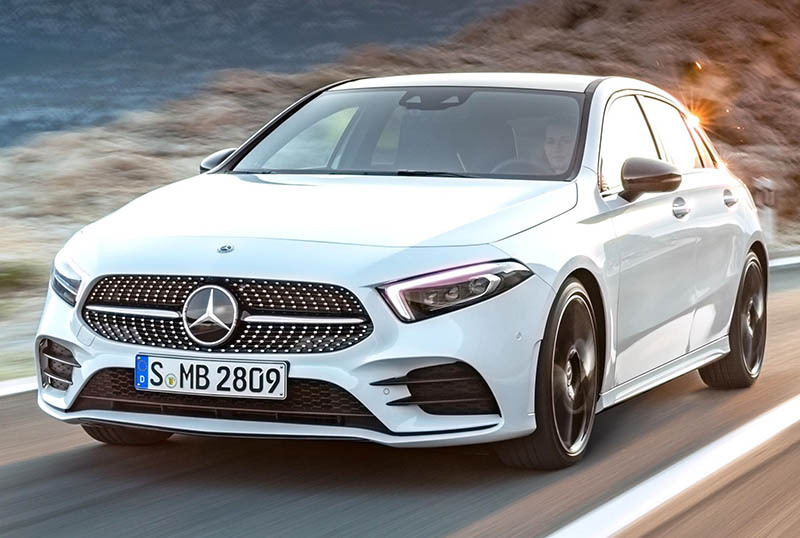 Supported by competitive finance plans, and an expanded dealer network that includes new outlets such as in Galway, the A-Class comes on the market with three different design lines – Style, Progressive and AMG. Initial models to arrive are the A180d Automatic, starting at €31,600 and the A200 petrol starting at €34,235. The entry A160 Petrol and A160d will arrive later. Prices, expected to guide around €30,000, will be confirmed closer to the launch date. 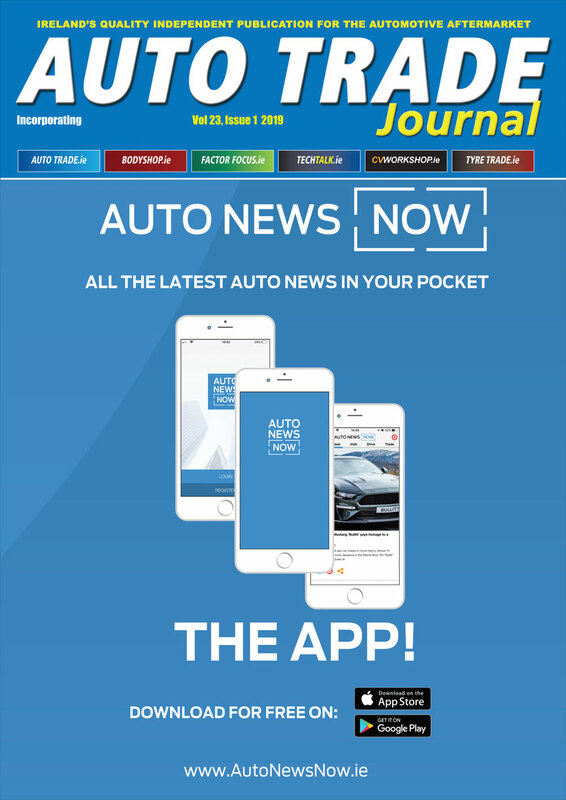 Describing it as ‘a car created for the discerning motorist’ Ciaran Allen, sales manager for Mercedes-Benz in Ireland, points to the wide choice of diesel models available at launch. These comprise a CLS 300d – expected to be the popular choice in Ireland – along with a CLS350d 4Matic and CLS400d 4Matic. Following, in early-2019, will be a CLS 220d version. Most powerful model is an 8-cylinder CLS 450 4Matic 6-cylinder petrol version. 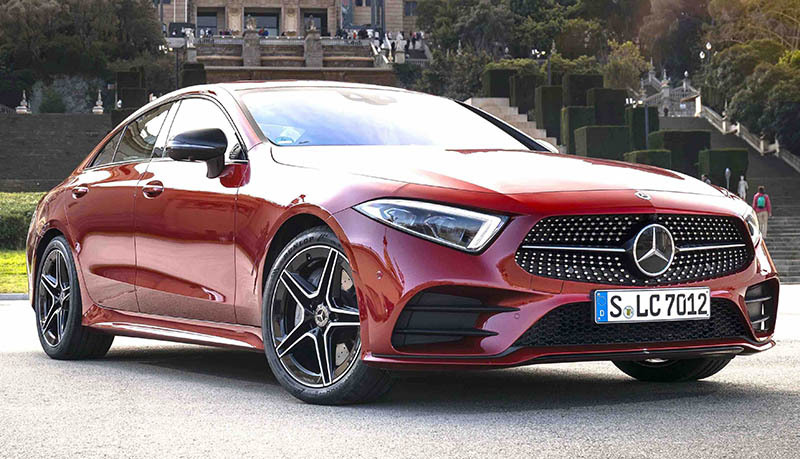 The new CLS comes on the market at prices which Allen notes ‘are pitched at a competitive level and comfortably close to the previous model, notwithstanding the significant enhancements made in terms of its design, technology, safety and comfort elements.